As Utility Auditors, we see this kind of outrageous over-billing often. $115 million, in this instance, will be refunded thanks to rarely seen sanctions against this type of behavior. 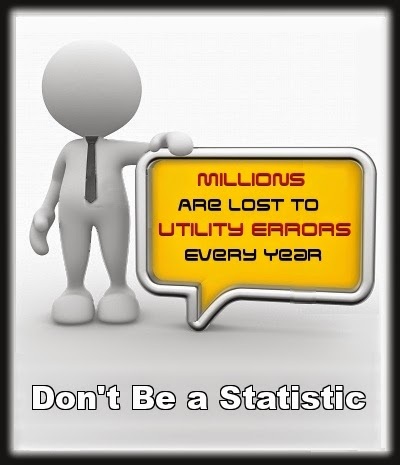 If you believe your business or investment property has been overbilled – on any utilities – do not hesitate to contact a Professional Utility Auditor – Immediately. Applied Utility Auditors offers no – risk services. We only get paid if you get a refund. Don’t get over your head in overhead. Electricity users in six Passaic County communities and all of Morris County will see their rates drop slightly in the next few months following a ruling Wednesday by state regulators that sanctioned Jersey Central Power & Light for overbilling customers, but also let the company recoup money spent repairing damage from major storms. In a unanimous vote at a meeting in Trenton, the Board of Public Utilities ordered JCP&L to refund $115 million to customers through the rate reduction, mostly to cover overcharges for power grid maintenance throughout its northern and central New Jersey territory from 2008 to 2011. But the board also ordered that ratepayers pay for $736 million JCP&L spent restoring power following Superstorm Sandy and other bouts of severe weather since then that caused blackouts of up to two weeks. The net result of formulas that parcel out those expenses over varying periods of time will be a $34 million cut in the company’s annual revenue and a drop of 1.2 percent, or $1.68, in its average residential monthly bill, according to the board. The exact month when bills will drop has not been set, but should come this spring, said BPU spokesman Greg Reinert. JCP&L’s 1.1 million customers include 15,400 in six Passaic County municipalities – Wayne, West Milford, Wanaque, Pompton Lakes, Bloomingdale and Ringwood – and 197,000 in Morris County. “Today’s order ensures that JCP&L is providing safe and proper service at just and reasonable rates, while also securing and being mindful of the company’s financial integrity,” said BPU President Richard Mroz. The decision represents a middle-ground between a $207.5 million revenue reduction sought by a state consumer advocacy office and a request by JCP&L for a rate hike to cover increased expenses and storm-related costs. In January, a state administrative law judge largely sided with claims by the office, known as the Division of Rate Counsel, that JCP&L used complex accounting techniques to return too much profit to its parent company, FirstEnergy Corp. of Akron, OH. The judge said the issue of storm costs should be addressed in a separate proceeding. The BPU, however, combined both matters into one. The ruling was criticized by Stefanie Brand, director of the Rate Counsel’s office, for rejecting the office’s request for retroactive rate cuts and postponement of storm-cost repayment. “I’m disappointed,” she said. “It’s still a reduction. But I think they should have taken into account the fact that ratepayers had been paying too much for a number of years. They could have phased this in.” She declined to say if the order would be appealed. Ronald Morano, a spokesman for JCP&L, said the company would review the order before commenting, but noted that it planned $254 million in improvements this year. Those include new circuits, upgraded utility poles, flood-proofing around power transfer stations and tree-trimming around power lines. The latter effort is aimed at a key problem in the company’s largely suburban and rural territory. Wednesday’s ruling ends an unusually long-running case involving claims that disputed, in highly arcane terms, the write-offs, equipment depreciation and other accounting techniques used to set rates that generate JCP&L’s revenues. A key issue was whether JCP&L collected too much to cover its federal taxes and then used that money to offset taxes owed by other FirstEnergy subsidiaries. Brand’s office also accused the company of improperly cutting costs, especially on grid maintenance and tree-trimming. JCP&L responded with a case of its own, seeking rate hikes. 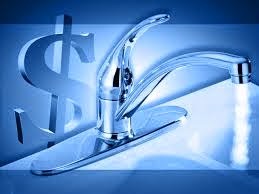 Water Bills Gone Mad: Water & Sewer Fees – $10,000 for 3 months?? 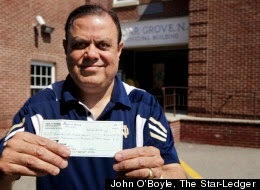 Kirit Kothari, of Cedar Grove, N.J., isn’t an abnormally thirsty person. Nor does he have an exorbitantly large lawn or garden — nor, for that matter, a personal water park in his backyard. But somehow, according to a bill he’s received from the Cedar Grove township’s water department, he owed $10,457.90 for water and sewer fees incurred through January, February, and March of 2011. That adds up to nearly 1,000,000 gallons of water for a home of two people. For comparison, an Olympic-sized swimming pools holds about 630,000 gallons…Read More on this and Other Crazy Water Bill Stories from the Huffington Post Here. THERE IS HOPE! Out of Line & Outrageous Water Bills Can be Refunded!